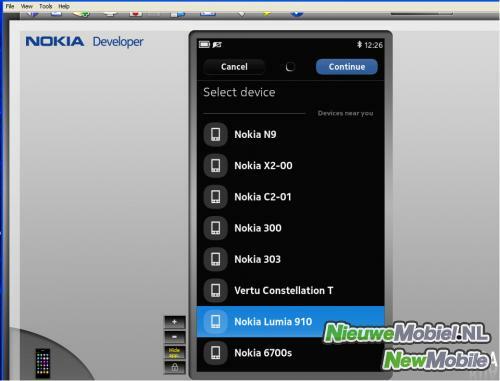 Recently, via Nokia’s Remote Device Access (RDA) tools used by developers, a new device under the name “Nokia Lumia 910″ has shown up. So far, any information on the device is a mystery, besides it clearly showing up in the RDA tools. The RDA tools are used by developers to keep updated on existing hardware. The immediate speculation by many is that the Lumia 910 model name is used to designate the T-Mobile version of the Nokia Lumia 900 Windows Phone. However, there is no clear evidence on the Lumia 910 model name relating to any T-Mobile Lumia 900. Mind you, a Nokia Lumia 900 Windows Phone on T-Mobile has yet to exist anyway. We also assume that carriers are as disappointed as many early Windows Phone adopters to see that current Windows Phones will not be upgraded to Windows Phone 8. Therefore, we do not expect T-Mobile to have the Lumia 900 available anytime soon. That leaves us with our real speculation and what we will depend on for now, the Lumia 910 is in fact a future Windows Phone 8 device. Hopefully, more information on the device, which evidently exists in some form, will become available soon.